With the passage by popular vote of a higher minimum wage in the neighboring states of Missouri and Arkansas in early November, many experts predict yet another wave of hikes for states nationwide. Already, these wheels seem to be in motion for a number of states across the U.S., though the extent to which those minimum wages will increase is unclear. For instance, in Louisiana, Gov. John Bel Edwards is certainly in favor of an increase - of some kind - from the state's current minimum of just $7.25 per hour, but the extent of what that uptick would be is not yet apparent, according to the New Orleans Times-Picayune. Last year, the state legislature rejected a bill that would have grown that level to $8.50 by 2020, but Bel Edwards recently tweeted support for a "modest" increase, likely in deference to the state legislature. Louisiana, of course, borders Arkansas to its south, and the Treasure State's voters recently gave their lowest-paid neighbors a raise from $8.50 to $11 by 2021, the report said. Experts often point out that higher wages in one state will typically lead to lost jobs across the border, increasing the pressure for Louisiana to follow suit sooner than later. Meanwhile, lawmakers in the Wolverine State who accepted a higher minimum wage in September as a means of circumventing a ballot initiative are now considering changes to the bills they had yet to approve, according to Michigan State News. Under the current language, Michigan's minimum wage would rise to $12 by 2022, and the tipped minimum wage would be eliminated (meaning tipped workers would make $12 an hour as well) by 2024. Currently, the state has a tipped minimum wage of $3.52, and a standard minimum of $9.25, the report said. Under the amendment to those potential rule changes - which have yet to be passed - the overall minimum wage increase would remain in place, but the tipped minimum would not catch up, instead rising to $4.56 per hour. That would represent an increase of 38 percent over the current tipped minimum. However, worker advocates say that amendment would technically violate the Michigan state constitution, so it likely would not end up passing, allowing tipped workers to enjoy a $12 minimum wage as well. At the same time, business owners in Missouri are already getting plans underway to conform with the Show Me State's now-approved increases, according to the Jefferson City News Tribune. At the start of 2019, there will be a 75-cent increase in that minimum, benefiting some thousands of workers across the state almost immediately. By the time the full $12 minimum is enacted in a few years, some 677,000 workers will have received at least some increase in their take-home pay. 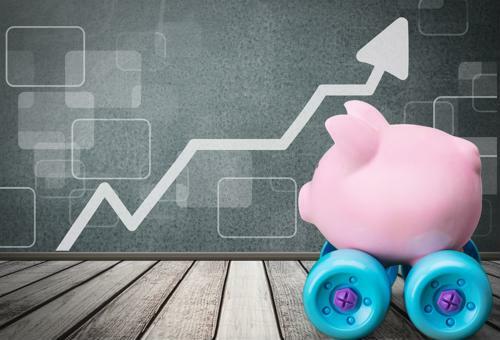 When wages are on the rise in any state, it's important for businesses to make sure their salary and benefits offerings are more than just following suit. Providing better pay and perks to both new hires and existing workers helps firms both attract and retain talent in an increasingly competitive, low-unemployment environment.